Many older homes and pieces of antique furniture have gorgeous woodwork hidden under layers of paint, and that’s why refinishing wood remains so popular. Safe, effective paint stripping involves three main steps: softening the old coating, scraping off most of the mess, then (in some cases) completing the final surface prep by sanding. The trick is making this happen in a way that’s safe for you, your family and your neighbours. You can soften paint chemically or with heat, and advances in technology have improved both these methods. The first products to challenge traditional strippers were citrus-based, and they didn’t work very well. Just don’t make the mistake of thinking that all new stripper formulations aren’t good. That’s simply not true any more. I’ve used Citrus Strip, Organic Strip and Greensolv in my work for years. They perform well because they don’t dry out. Brush them on and they stay wet and active as long as necessary to soften multiple layers of finish in one go. Why bother with new stripper formulations at all? 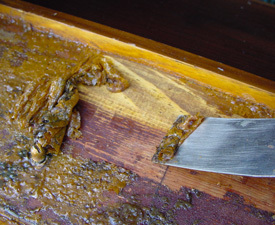 Traditional strippers, though still available, are made with methylene chloride, and experience has shown that it’s very difficult to get enough ventilation to let this product be used safely indoors. Unless you’re using a chemical stripper outside, choose a safer formulation, though you still need to protect yourself. 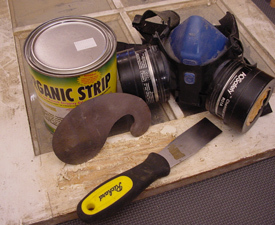 Safer as these products might be, wear a respirator and rubber gloves while stripping paint. Besides protecting you against fumes, more importantly a respirator and gloves protects against toxins in the paint itself. 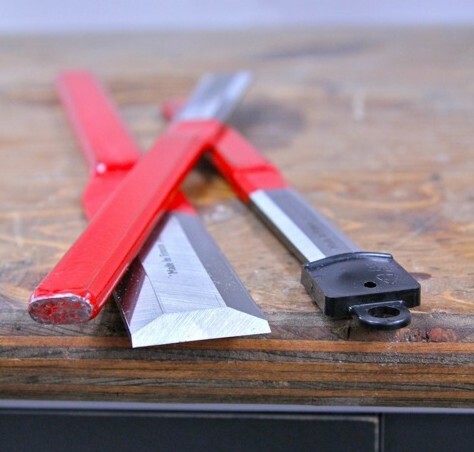 Want to steer clear of the hassle and expense of liquid paint strippers altogether? 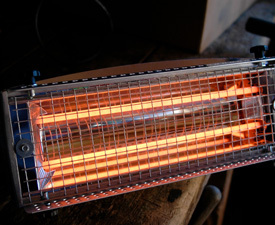 Many pros use heat to soften paints, and while this is effective, it may also be killing them. Even though stripping old paint with a propane torch has been standard practice for years, don’t do it. It’s a health hazard, especially in older homes because paints used before the 1970s were made with lead. This highly toxic metal vapourizes when heated hotter than about 1100°F, as usually happens with a propane torch. But this doesn’t mean that you’ve got to resort exclusively to strippers and scraping if you want to stay safe. There’s another way to deliver paint-stripping heat and it’s faster, more effective and safer than a propane torch. One option I’ve used personally, is called the Silent Paint Remover. It’s a hand-held plug-in electric tool that uses a glowing red element to heat the paint and soften it by radiation, at temperatures lower than the vaporization point of lead. Regardless of how you remove old paint, all scraped or stripped residue must be disposed of as toxic waste. Softening paint is only part of the equation. The next phase usually involves scraping, and for this to happen efficiently, you need to use more than just an old putty knife. The key to effective paint scraping are tools that match the shape of the surfaces you’re stripping, while also allowing your whole upper body to get in on the act, if possible. No matter what kind of stripping and scraping strategy you use, sanding is usually at least a little part of the final phase of a paint stripping job. Sanding by hand alone, with a quarter-sheet finishing sander, or with a detail sander puts the finishing touch on your old wood before applying any new finish. Just don’t sand too much. Old wood usually has a rich glow about it, and if you work your way back to a completely fresh surface, you’ll lose a lot of the beauty that’s there. A little polymerized tung oil, or Wipe-On Poly is just the thing to let the beauty and patina shine through.